Some believed they could improve the U.S. population by controlled breeding. In his chilling new book, Hitler in Los Angeles: How Jews Foiled Nazi Plots Against Hollywood and America, scholar Steve Ross chronicles how Hitler and American Nazis planned to take over the United States, using Los Angeles as their stronghold. 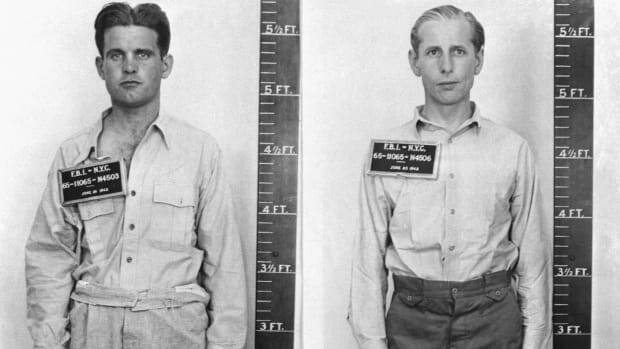 Their plot included machine-gunning Jews on the streets and publicly hanging prominent entertainment-industry figures such as Al Jolson and Samuel Goldwyn. 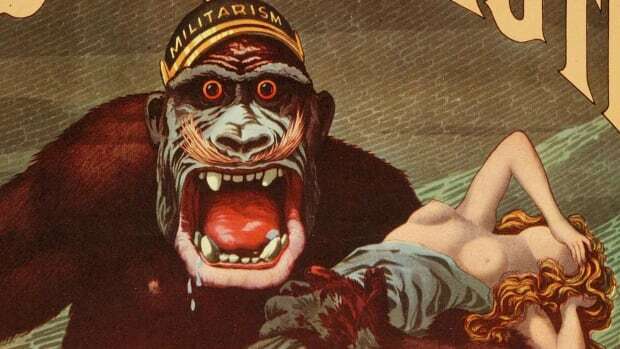 The notion that racist Nazi ideologies gained a foothold in the United States is more than plausible given the early-20th-century popularity here of eugenics, the science of improving the human population by controlled breeding. Such beliefs weren’t just cocktail-party chatter among a handful of extremists; they were codified into laws and practices that, in the Southwest especially, targeted people of Mexican origin. In 1907, California began mandating forced sterilization of those men and women deemed “mentally inferior” or otherwise “unfit to propagate.” By 1909, a sterilization law was in effect. And by 1964, the state had sterilized 20,000 people—mostly poor women, African Americans and immigrants. Women and men of Mexican descent were sterilized at disproportionate rates. Opponents of open Mexican immigration, including self-described eugenicists, wrote numerous articles supporting restrictive immigration. 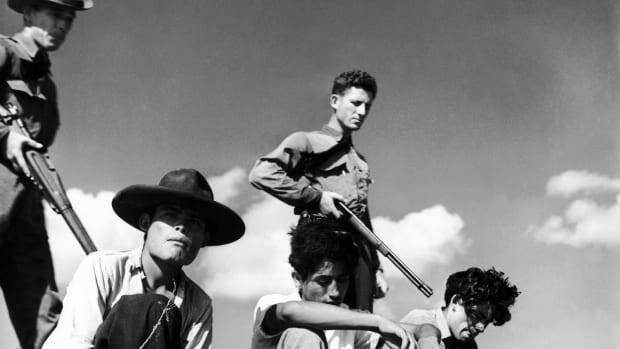 In these publications, they described Mexicans as racially unfit, with titles such as “The Menace of Mexican Immigration.” While some of these articles were published in extremist journals, others made their way into mainstream publications like The Saturday Evening Post, which claimed a circulation of more than 2 million. Employers who relied on the labor of Mexican workers fought to preserve immigration from Mexico—and won. Yet even in supposedly pro-immigrant circles, the logic of eugenics still held sway. 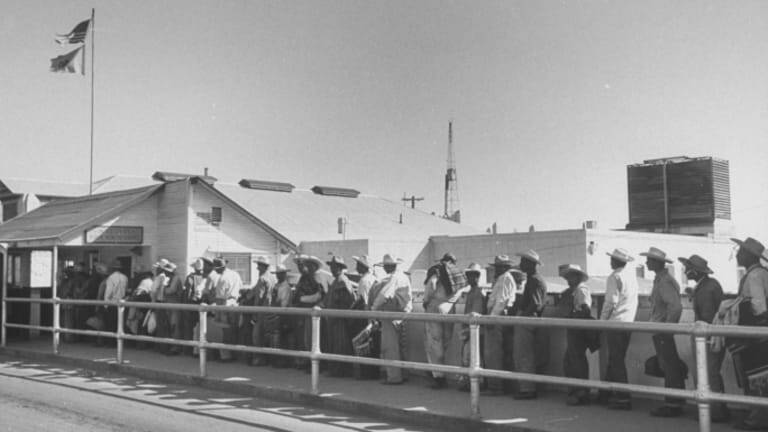 In cities like Los Angeles and El Paso, where many Mexican immigrants settled, health officials targeted Mexican women and children with Americanization programs aiming to cure them of the “ills” that made them obstacles to national progress. Mothers who brought their children to neighborhood clinics received parenting lessons while doctors examined the children. These programs’ underlying message: Without expert guidance, Mexican women lacked the skills to be capable mothers. 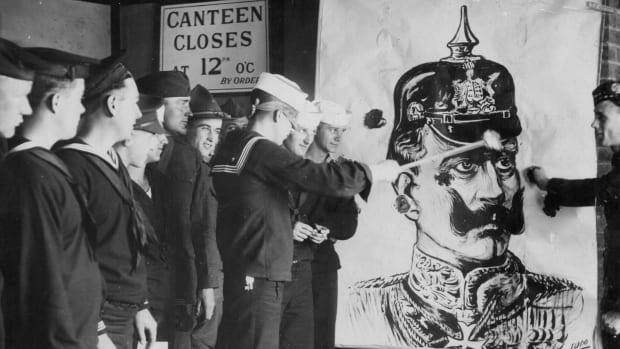 The scientific racialization seen in the 1920s only intensified with the Great Depression, as everyday citizens and government officials alike began using Mexican immigrants as scapegoats for economic and social ills. Efforts to present Mexicans as Americanize-able, given the proper education by health experts, were abandoned. Instead, several states and counties embarked on a repatriation campaign that deported an estimated 1 million Mexicans and Mexican Americans. 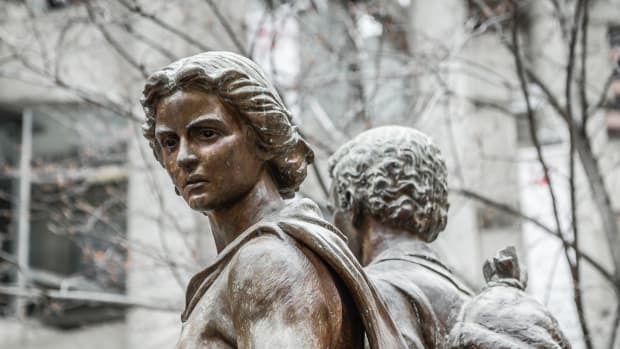 In the course of this purge, Mexican women and children came to symbolize the perils of a more open immigration policy—with the argument shaped along eugenicist lines. Until the mid-20s, the growth of the Mexican population in the United States had been attributed mainly to immigration of men looking for work. But with the increased arrival of Mexican women, restrictionists began to focus not only on the economic threat posed to American workers, but also on birth rates. They argued that Mexican immigrants, being “excessive breeders,” would have too many children who would proceed to drain U.S. resources. Karen Benker, a medical student at the time, testified against the doctors involved. She described a hospital culture in which Mexican patients were viewed as irresponsible breeders. She testified that the lead defendant, Dr. Edward Quilligan, the head of OB/GYN at County General, maintained that “poor minority women in L.A. County were having too many babies, that it was a strain on society; and that it was good that they be sterilized.” Ultimately, the judge ruled that the women’s sterilization was the result of “cultural misunderstanding” rather than wrongdoing on the part of the doctors. 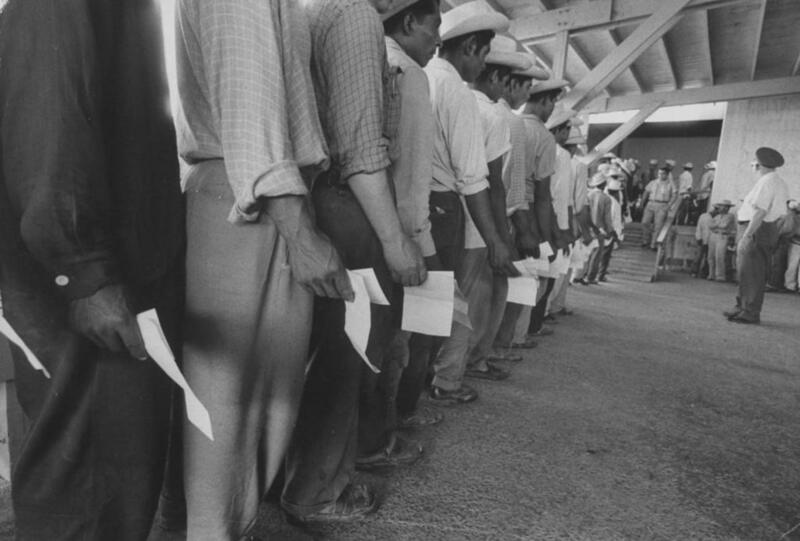 Mexican migrant farm workers lined up for job interviews and to sign contracts at reception center. Until the mid-20s, the growth of the Mexican population in the United States had been attributed mainly to immigration of men looking for work. But with the increased arrival of Mexican women, restrictionists began to focus on birth rates among the immigrant population. The notion that Mexicans overburden the government, particularly in health, education and welfare, continued to drive legislation in the 1990s. 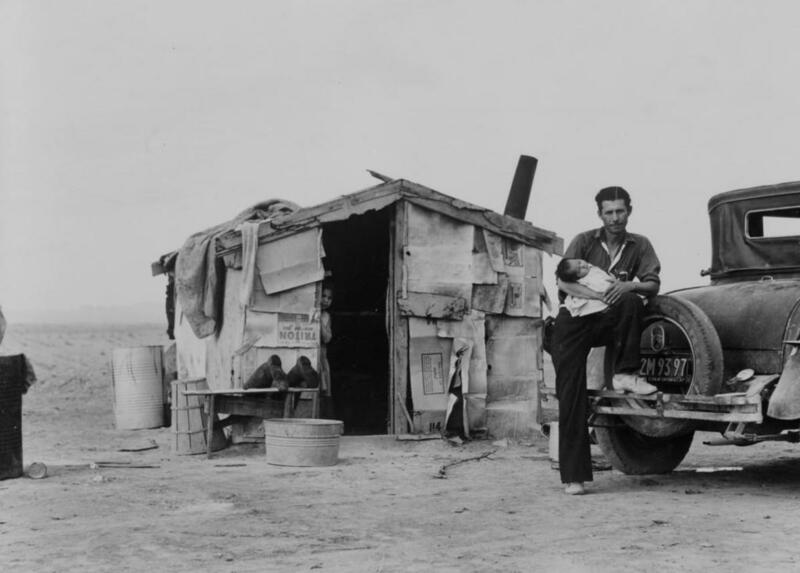 One of the most notorious examples, California’s Proposition 187, denied public-health services, social services and public education to undocumented immigrants. It also mandated that all public employees—including teachers and health-care providers—report anyone seeking public services whom they believed might be undocumented. The proposition passed by an overwhelming majority in 1994, though implementation was halted by the courts. 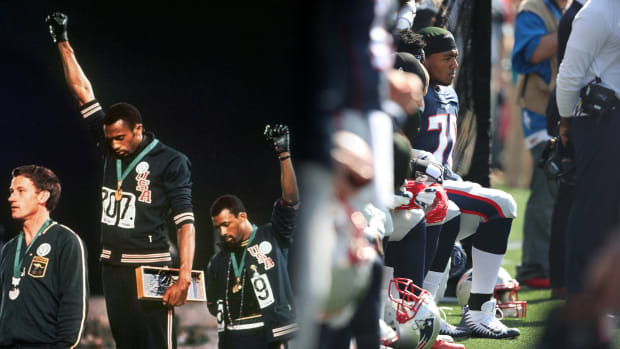 A belief in a racial and social hierarchy was at the core of sterilization projects in the 1920s and the 1970s and the passage of Proposition 187 in the 1990s. And it has emerged today in the debates over the DREAMers, the 800,000 youth brought to the United States by their parents without authorization. If these projects are historically linked, eugenics can’t be viewed as a relic of an unprogressive past.